Wash your Hair regularly! The number of times you wash your hairs depend on your scalp type. If you have an oily scalp, wash your hairs each day. 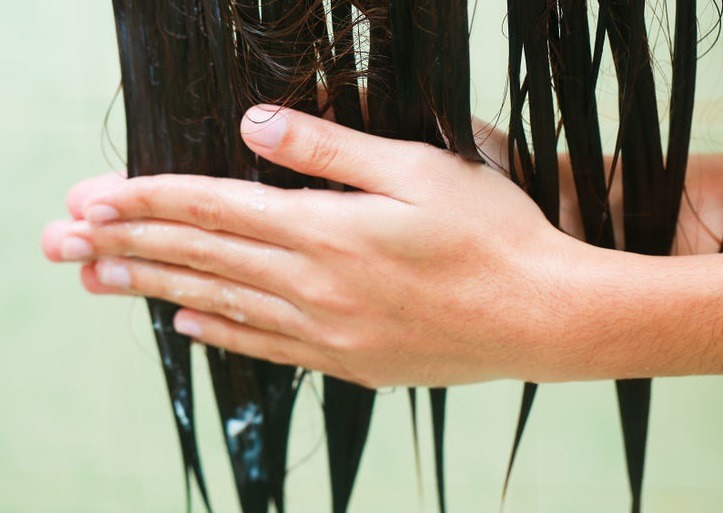 If you have chemically treated hairs, they would remain drier. Thus, you need to wash them less frequently. If you are getting old, your scalp would be making less oil. Thus, you need not shampoo them more often. Wash your hairs twice a week! But, if you see flakes in your hairs, you can shampoo your hairs since flakes results in dandruff and various scalp diseases. Focus on Scalp while Shampooing! While washing your hairs, concentrate on the scalp. This is because the scalp has the hair roots, which on getting nourished would grow. On the other hand, the hairs need not shampoo as they would become dull and rough. Apply conditioner after every shampoo! Don’t forget to apply conditioner after washing your hairs. The conditioner adds more shine to your hairs. It enhances the overall look by reducing static elasticity, enhancing shine and strength of your hairs. You can also go for a ‘2-in-1’ shampoo. Condition the hair ends! Just like the shampoo, conditioner is also not meant for the whole head. Conditioners are used to make the hairs appear silky and fine, thus you need not apply them on the scalp. This is because the Scalp would become oily on getting conditioned. Also, no need to condition the whole length of hairs. Just condition the end of the hairs so that they remain healthy and smooth enough to grow. Select the Shampoo and Conditioner as per your hair type! Don’t fall for brands and price! Use the shampoo and conditioner that justify your hair’s needs. If your hairs are damaged or chemically treated, go for a ‘2-in-1’ shampoo. If you color your hairs regularly, choose the shampoo designed specially for colored hairs. Protect your hairs during Swimming! If you love your swimming, remember to cover your hairs! The chlorine of the water can damage the hairs. Wet your hairs and condition them before going to swim. Wearing a tight-fitting swim cap along can also help you a lot! Using specially formulated swimmer’s shampoo and deep conditioner just after swimming is also a great idea! Want to know more? Wish to get the hair fall under control? If yes, then consult our experienced dermatologists at DERMACLINIX. To fix an appointment, call at +918882227080 or visit our site.